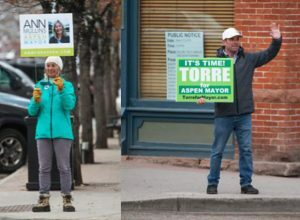 Aspen City Councilwoman Ann Mullins and mayor-elect Torre. I want to publish this short account of how I have come to have one name. I know that some people would like a little background and I don’t mind sharing. The name on my birth certificate is Ronald Wayne Maranian III. Torre is a nickname I have had since birth, given to me by my father. It is what I have been called from birth. My parents divorced and my mother remarried. I grew up as Torre DuBose, my stepfather’s last name. It seemed like most people just called me Torre because there wasn’t anyone else with that name. As far back as I remember I have been Torre, so I thought about changing it legally. I talked to my father about it and he asked that I wait until I finished school and then change it. In 1992, I got my driver’s license renewed with the name Torre on it. I checked a box for a name change and it was done. A few years later a judge here in Aspen made it legal. Let me say, I have a close relationship with my father and my stepfather. I am very proud of my Armenian heritage and I do not try to hide my birth name. It may seem different to people for me to go by one name, but for me it is who I’ve always been and what people call me. Thank you for letting me share my story with anyone who wondered. 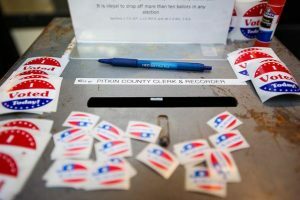 If there was any sea change to note from the results of the past two months of city of Aspen elections, it is that the three incumbents were unable to clinch their desired offices. Torre won by 343 votes in Tuesday’s runoff election against sitting councilwoman Ann Mullins. He beat her by 341 votes in the March election, but they both failed to get a majority vote, which forced them into a runoff per the city’s home rule charter. 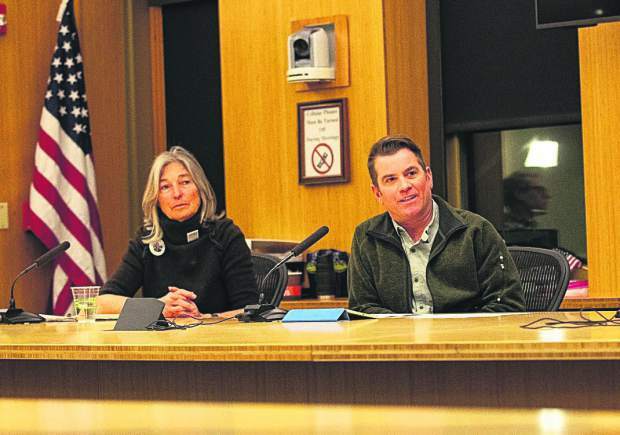 Mullins, who has two years left on her second term, initially also went up against sitting councilman Adam Frisch and political newcomer Cale Mitchell for the mayor’s seat. Frisch, who is term-limited after serving eight years on council, came in third. Mitchell came in last place. And councilman Bert Myrin, who is finishing his first four-year term, came in third for the bid to fill one of two vacant seats. Instead, Skippy Mesirow, a newcomer to elected office, and Rachel Richards, a veteran politician who has served on council, has been mayor and recently a county commissioner, were picked by the majority of voters. Councilman Ward Hauenstein, the only elected official who didn’t run for office that will be continuing to serve for the next two years, said Wednesday it’s difficult to really know why people voted the way they did; exit polling may provide a glimpse. He acknowledged that some ways of doing things — mostly how the city communicates and engages with the public — should change. But whether that fundamental problem is why the incumbents didn’t make it through the election is unclear. “If I was running for office, I would probably get kicked out too,” Hauenstein joked. “I can’t look into people’s minds and have a crystal ball to know why they voted how they did. 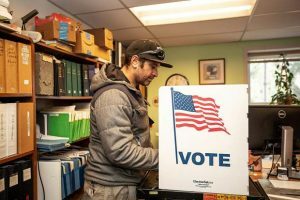 When conducting an unscientific poll leading up to the March election, The Aspen Times asked various residents their thoughts on how they were voting. 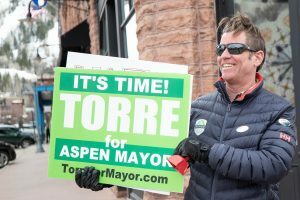 Torre, who has spent the past three and a half months campaigning on the current council’s failures, said it’s time to move on and look to the future. Hauenstein, who beat Torre in a 2017 runoff for a council seat, agreed. He said he looks forward to working with a new council. “You go with what you got,” Hauenstein said. The council’s focus should center on getting the public engaged in a positive manner rather than fighting City Hall, he added. “(But) I don’t know how,” he said, noting that he tried by eliminating part of the problem and subsequently asked former city manager Steve Barwick to resign in December.